Getting yourself diagnosed periodically is the best way of prevention and better treatment of any disease. There are a few important health tests, women in their 20s, 30s, and 40s must take, to avoid the risks of several diseases. Some health conditions develop with age, hence to get yourself tested would help you take necessary precautions that can curb the risk of such diseases. Blood pressure test: Normal blood pressure ranges from 120/80 – 140/90. A rise in the blood pressure can pose serious risk of heart diseases. It is a proven fact that women are more prone to heart diseases than men, hence blood pressure test must be taken by every woman, at regular intervals. When should you take: One can take a blood pressure test at any age. It can be as early as the age of 3, because the blood pressure problem has become common even in children now. How often should you take: Once in a year. But your doctor can advise you to get it done every six months if there is a fluctuation in your blood pressure. Mammogram: Mammogram is the screening for breast cancer. It detects if there are any lumps in the breast. When should you take: Every woman, 40 years and above, must get this test done. If you have a family history of breast cancer, you should get it done even earlier. How often should you take: Every woman should get her mammogram done once a year. It is always recommended to take the test just after your periods, as the breasts are not very tender or sore at that time. 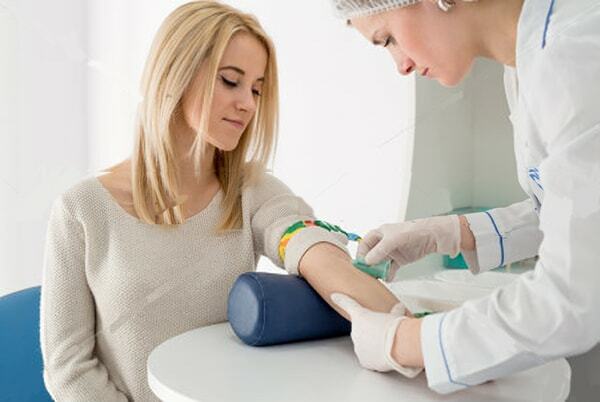 Diabetes test: This test checks the blood sugar level in the blood to diagnose Type-II diabetes. Diabetes increases the risk of heart diseases and stroke. Women are at a higher risk of having diabetes, especially during pregnancy, which is called gestational diabetes. When should you take: At the time of pregnancy or at the age of 45. If you are overweight, have high blood pressure or have a family history of diabetes, you can take this earlier as well. How often should you take: On an average, you should take this test once in every three years. Colonoscopy: Colorectal cancer is the cancer of the colon or lower intestine. The test conducted to deduce the presence of this cancer is called colonoscopy. After breast and lung cancer, this is the most fatal cancer affecting women. When should you take: You can get yourself tested for the first time at the age of 50. But, if you have a family history of this cancer, you must have the test done at least 10 years prior to the age your suffering relative got diagnosed. How often should you take: You should take this test once in every 5-10 years. A few other medical tests every woman must take are an eye examination, test for checking the level of vitamin D in the blood, and test to diagnose cervical cancer. Mark your calendars and make it a habit to have periodical medical tests to stay healthy and fit.